You are here: Home > Early Summer wedding at Priston Mill. Early Summer wedding at Priston Mill. Posted by Lorely on July 5, 2016. 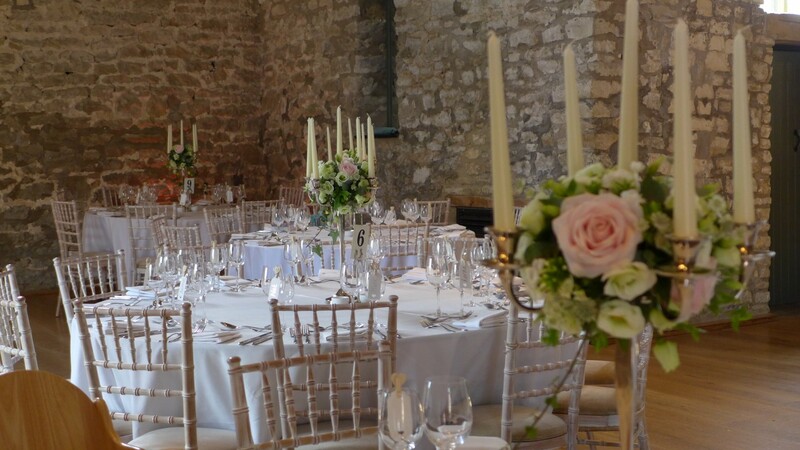 Priston Mill is only 7 miles from Bath and a stunning wedding venue, set in beautiful rural countryside, it is always a pleasure to decorate the Watermill and the Tythe Barn. This May wedding was held in the Tythe Barn, a spectacular stone barn, dating back to 1720 with oak rafters and a 15 metre high vaulted roof. 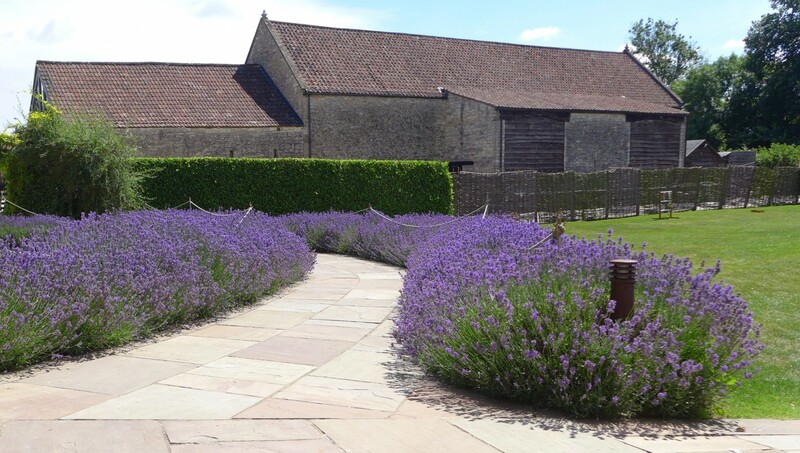 Even as you walk up to the barn the pathways lined with English lavender put you in the mood for romance! Paths lined with lavender very tempting for any florist! Joking aside the gardens around the Tythe Barn and the Watermill are really lovely and if the sun shines guests can spill out onto the lawns during the day. 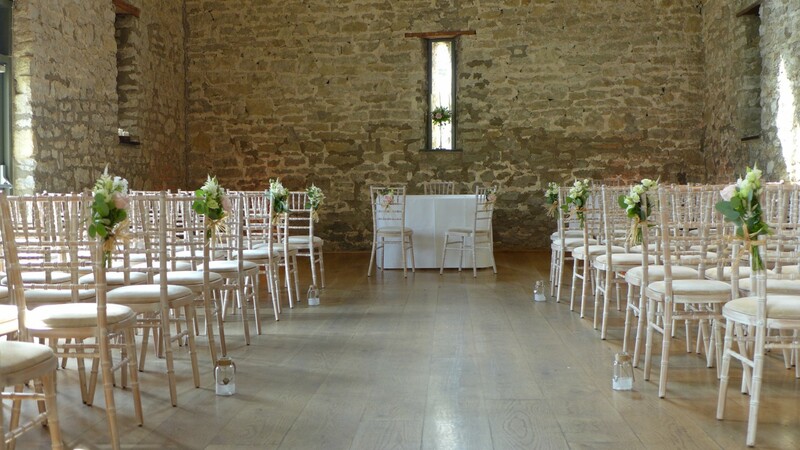 Both the Barn and the Watermill are licensed for wedding ceremonies. The barn looks beautiful all set for the ceremony and afterwards is magically transformed into a stunning reception venue. 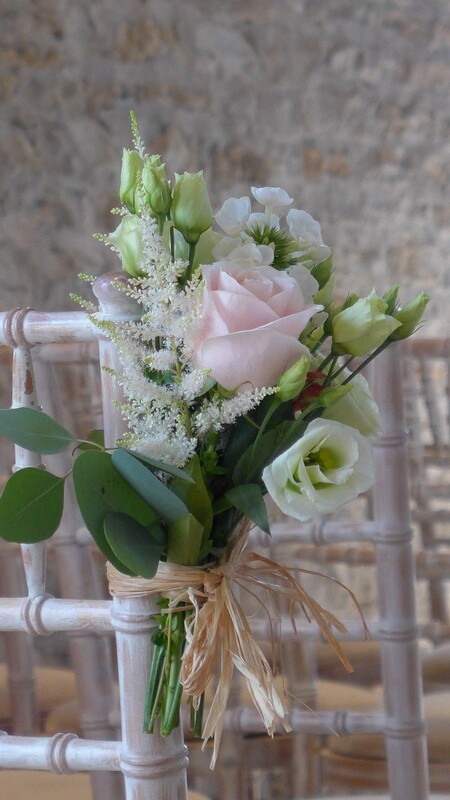 Pew ends of Sweet Avalanche roses, astilbe, white phlox and green lisianthus, add perfect detail to the aisle. Which after the ceremony were placed in jam jars and dotted around the barn. 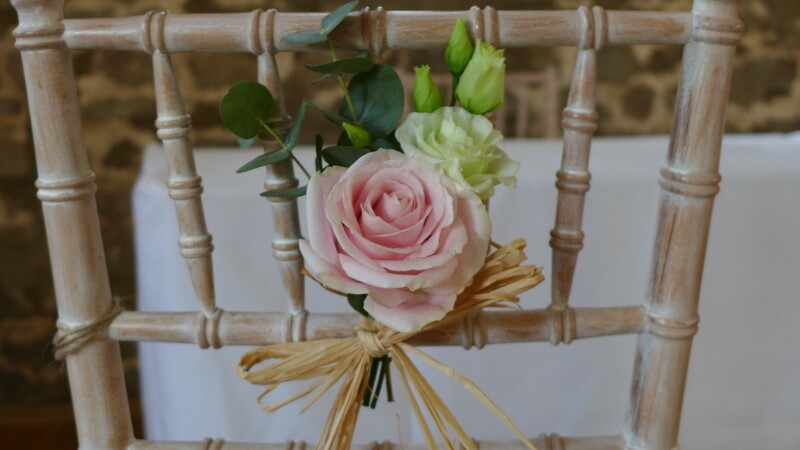 Roses and lisianthus naturally tied with raffia to the Bride and Grooms chairs adding the finishing touch. 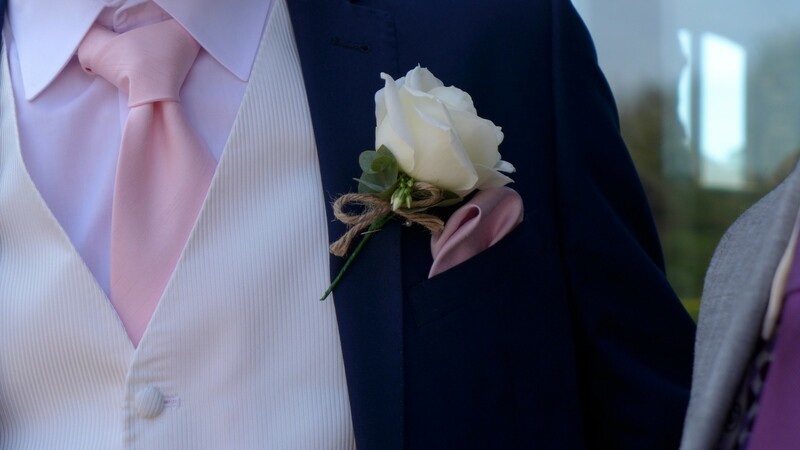 Simple buttonholes of Avalanche roses with phlox and eucalyptus. Steve and Nicola were a perfect Bride and Groom, a florist’s dream, Nicola had some idea of the flowers she wanted and with the help of Pinterest had created a board of things she liked and showed the rustic look they wanted to achieve. Then said they trusted us to make something lovely! 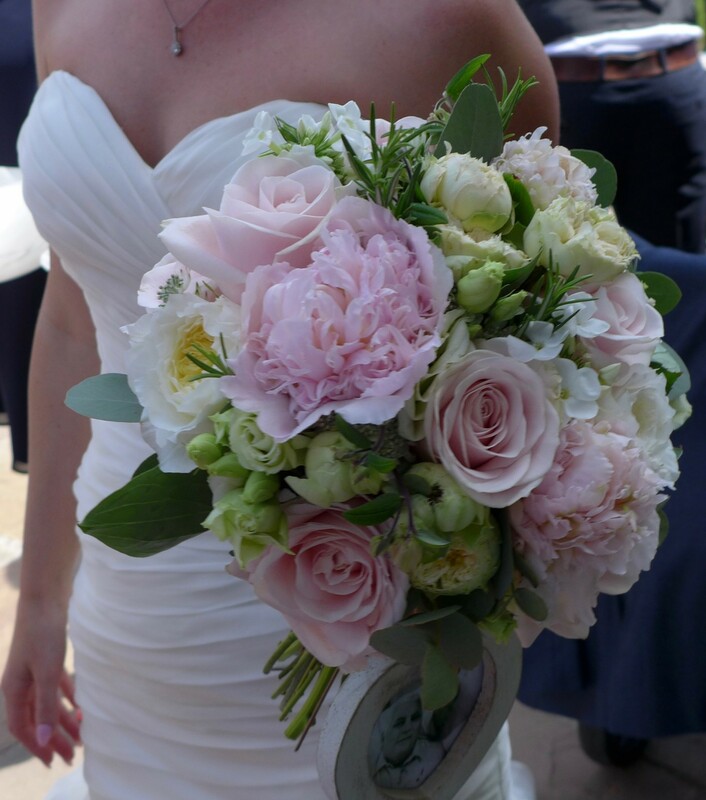 The bride’s bouquet. 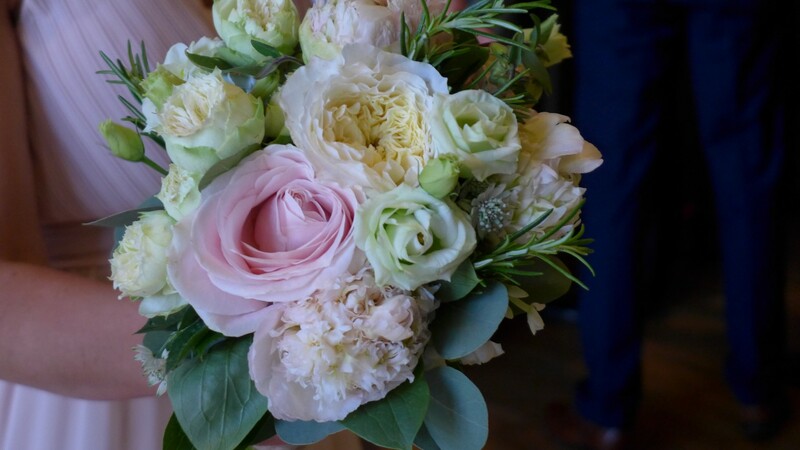 A natural posy tied with brown string, lovely early summer flowers and beautifully scented with soft pink peonies, David Austin roses, Sweet Avalanche roses and lisianthus. The Bride and Groom! Showing off the bouquets! It was a real pleasure doing the flowers for them. Bridesmaids carrying tied posies of roses, peonies, astrantia, lisianthus and phlox, and as with the Bride’s bound simply with brown string. Beautiful blousey roses and peonies, rosemary and eucalyptus, with the sun shining the scent was amazing. The barn all ready for the reception, the candelabra worked perfectly with the high vaulted ceiling. The flowers for the table centres following the soft summer colours of the Bridal flowers. 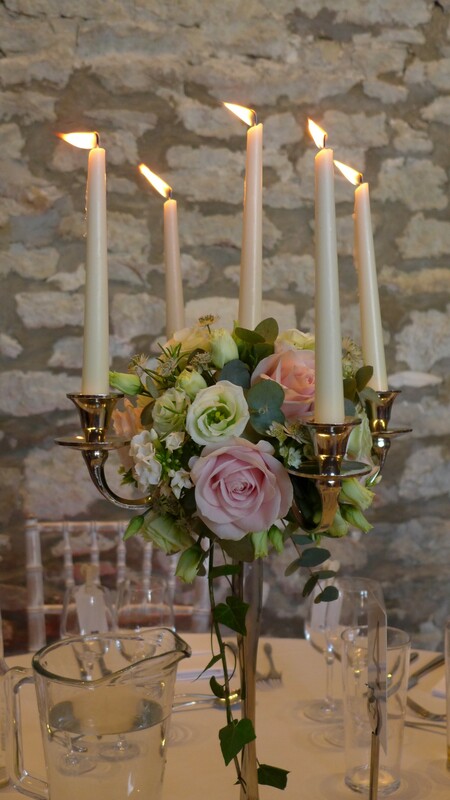 Candelabra with Sweet Avalanche roses, white phlox and astrantia, summery with the lovely fresh green of the lisianthus and trails of ivy. 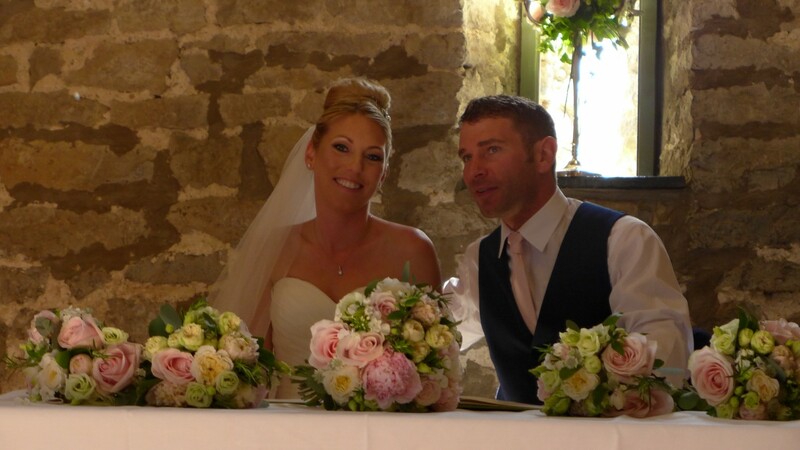 A truly beautiful venue, the stone walls setting off the flowers perfectly. 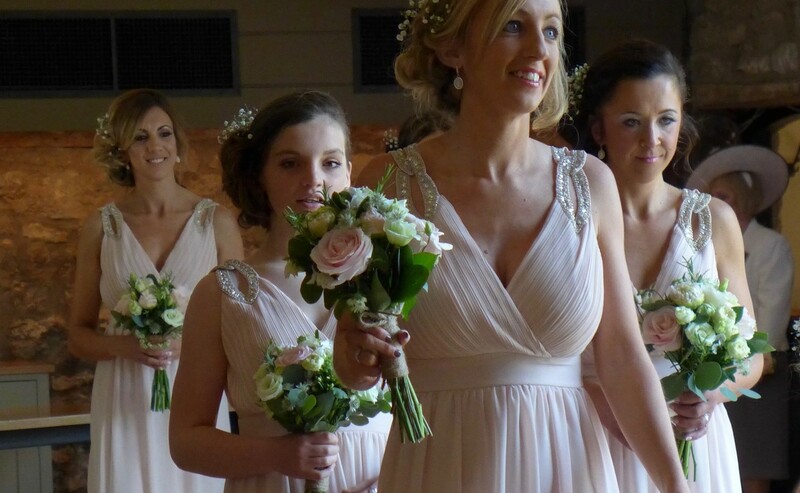 Really enjoyed being involved in Steve and Nicola wedding and hope the flowers added to a very special day.